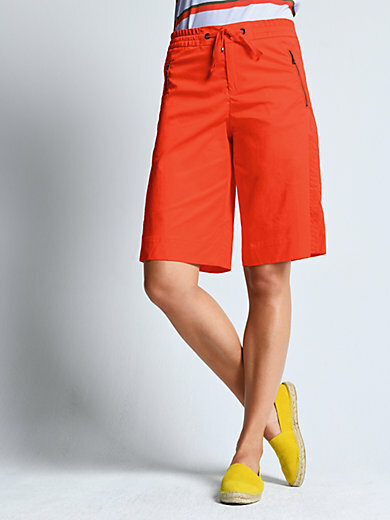 Bermuda shorts by BOGNER in on-trend summer style. Comfortable athleisure waistband with zip and button fastening, zip pockets with "B" zip, and small side slits. Cotton-stretch fabric in excellent BOGNER quality in 97% cotton, 3% elastane. Inside leg length approx. 12ins. Ankle width approx. 11ins. The Bermuda shorts are machine washable.